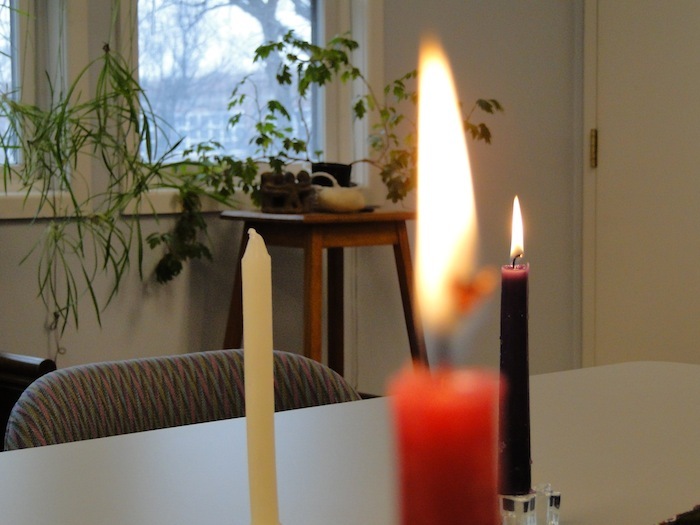 In the ‘quiet times” between learning circles, Woodsworth House continues to be filled with justice seekers, passionate visionaries, people of faith grounded in hope. Wednesday evening: A gathering of the group that has been meeting as Feast for Friends to strengthen relationships between Aboriginal and non-Aboriginal people, to deepen our understanding of what it means for all of us to be treaty people, and to plan events that contribute to this learning. We discuss the momentum of the Idle No More movement, the fast undertaken by Chief Theresa Spence, and the anticipated meeting on Friday of First Nations leaders and representatives of the Canadian government. We seek out opportunities to join with other initiatives as we hold the work in prayer. Unable to confirm local initiatives, we decide to offer space at Woodsworth House for a time of reflection and action on Friday at 1:00. Friday noon: CCS welcomes presenters and participants to the first of the Second Fridays events in 2013. The topic, Theology of Diversity – Ecumenical Connections. The presenters – Michelle Barr, Diaconal Minister in the Evangelical Lutheran Church in Canada, and Virginia Platt, Anglican lay woman and activist, speak about ecumenism, Michelle from the perspective of music and worship, Virginia reflecting on social action. Participants discuss opportunities and challenges of ecumenical initiatives. Friday 1:00: Participants in the Second Fridays event are invited to stay for the informal gathering initiated by the Feast for Friends group. Notice of this gathering has also been shared by the local KAIROS group. Some folks join in an Idle No More round dance at the University of Winnipeg and return to join the group at Woodsworth House. We are reflecting on fasting in solidarity with Chief Theresa Spence, what we know (and mostly don’t know) about treaties, the energy and potential for change offered by social movements, racism, privilege, complicity, hope… We light candles, pray, sign a card with messages of support for Chief Theresa Spence, talk quietly, renew our resolve to work toward the biblical vision of abundance for all of Creation, to uphold the spirit of all my relations. A brief moment, a few people, a humble offering, an enduring commitment. We are sustained by the secure knowledge that our efforts matter, that we are part of a movement that transcends this moment, called to action by a vision of justice that is both here and not yet here. Thank you Ann and the Centre and the Feast of Friends. In my small rural corner, I too hold the work of justice for First Nations and the Idle No More movement in prayer – indeed a humble moment and an enduring commitment sustains.